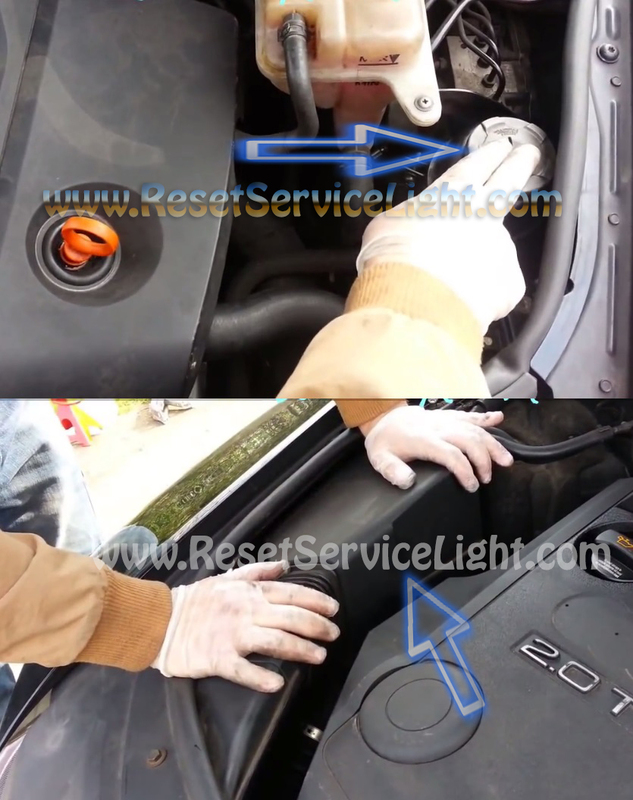 How to replace the burned headlight bulb Audi A6 C6 manufactured in 2004, 2005, 2006, 2007, 2008, 2009, 2010, 2011. To change the bulb from the left headlight at first you must remove the power steering fluid reservoir to have access on the headlight. And for the right side you must remove the air filter housing. See below images. All bulbs are covered with a cover of plasitc. This cover is caught in two clips under it. To change the bulb must remove the plastic cover. To remove the plastic cover must press the clips below it. See below picture. After removing the plastic cover next step is to remove the plug from the bulb, just pull it out. Headlight bulb is held in by a wire that is hooked.